Fox Sports is a TV station that comes with many cable TV packages in the US. Even if you don’t particularly have premium channels you can often find Fox Sports as part of the standard selection. Today I’m looking at how to watch Fox Sports in the UK and elsewhere via the Fox Sports Go website. 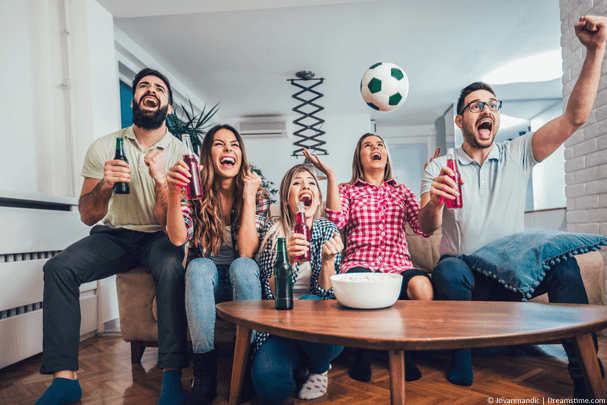 Fox Sports Go is the online streaming service from Fox Sports and consists of channels (or stations) such as Fox, FS1, Fox Sports Go Extras, Big East, Prep Zone and a handful of local ones depending on the area of subscription. It’s actually a pretty handy service if you’re into European football as most matches from UEFA Champions League, UEFA Europa League & Bundesliga are shown for free on Fox Sports Go. If you like US based sports then you’ll find MLB Baseball, Nascar, UFC, MLS, College Football plus a whole host more available to view. Firstly you need access to a Fox Sports account, these come with most cable subscriptions in the US so if you have your own or have a family member or friend who lives in the US then you can essentially “borrow” their account. If you try to use Fox Sports Go in the UK or any other country outside the US you get a Geographic Restriction similar to the one below. The video you are attempting to watch is only available to viewers within the US, US territories, and military bases. Fox Sports Go knows your location based on your IP Address. An IP Address is a unique string of numbers assigned to your internet connection and similar to a phone number it can reveal your location. The solution to watching Fox Sports in the UK and anywhere else in the world outside of the US is to get an IP Address from a different country, in this case from the US. But how do I get a US IP Address? 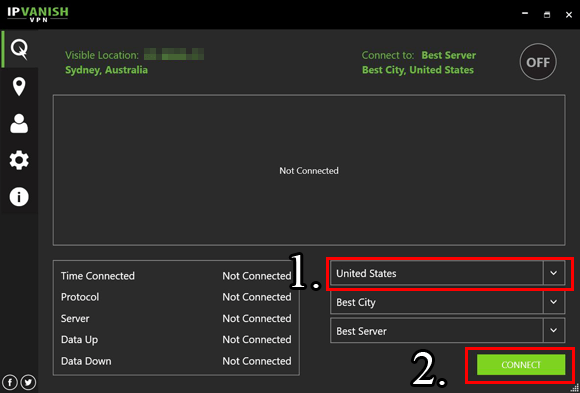 To get yourself a US IP Address you need a service called a Virtual Private Network which for ease is known as a VPN. A VPN creates a secure encrypted connection to another location and allows you to assume the identity of that location. Due to a VPN encrypting your connection it means you can surf the web totally securely and access Fox Sports Go in the UK or anywhere else. You’re probably wondering how difficult or expensive a VPN is so keep reading and I’ll alleviate all your fears. There is a huge choice of VPN providers. Just tapping “VPN service” in Google will bring up a list that never ends. Unfortunately, there are some very new providers who have jumped on the bandwagon and are trying to make a quick buck by offering a substandard service. To stream video you really need a quality provider that offers fast speeds and weeding out the poor services from the quality ones can be time consuming, costly and in most cases almost impossible. I test VPN services on a daily basis and have whittled down a big selection to my top three providers who will all be an excellent choice for to watch Fox Sports in the UK. A VPN will set you back no more than about US$5 – $10 per month which is roughly £3 – £6. Just follow the white button above or click one of the providers names to visit their site and get signed up. Once you’ve signed up the process is simple. All three providers above supply software for Windows and Mac desktops or laptop and they also have apps for Android and iOS devices too. You can alternate between devices as you wish but for now download the software or app for your computer or device. Once installed it’s simply a case of connecting to a server in the US. Generally you should connect to the one closest to your location. If you’re in the UK or Europe or anywhere closest to the East Coast of the US then try connecting to servers on the East Coast in places like New York, New Jersey or even Florida. If you’re in Australia, Japan or that area of the world then connecting to US servers in California or the West Coast of the US will serve you better speed wise. Each provider has a slightly different layout, but they’re pretty easy to figure out, most just require you to click the US option then connect. As an example in the screenshot below I’m using the IPVanish Windows software and by clicking United States and then Connect it will get connected for you. Once the software or app has connected all you have to do is visit the Fox Sports Go website and you’ll be able to stream live video and also videos from the Fox Sports website without getting the blocked message that you would usually see. What if you don’t have access to a fox go account? Unfortunately it won’t work then, sorry.